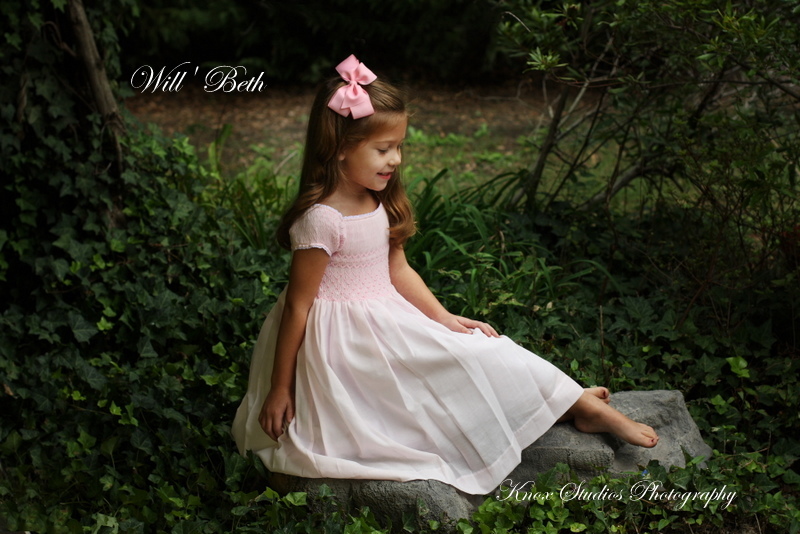 Will’beth White Pink dress with bonnet, style 16207. 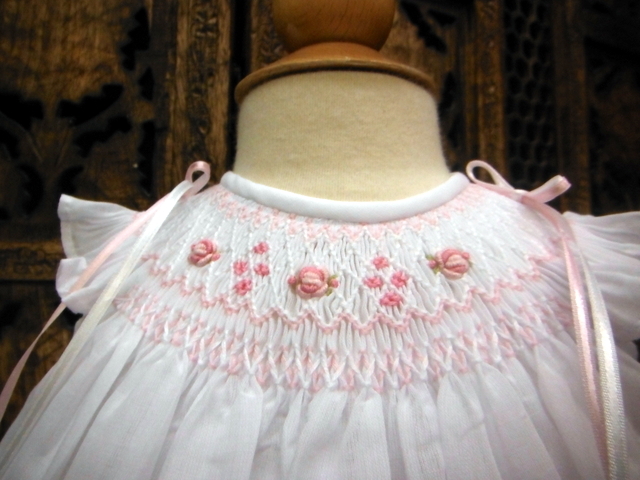 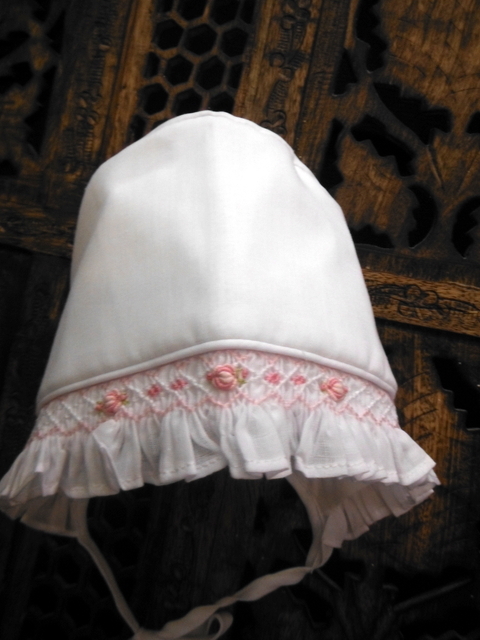 Precious baby white with pink dress by Will’beth has beautiful embroidered pink flowers on delicate smocking, includes matching hat. 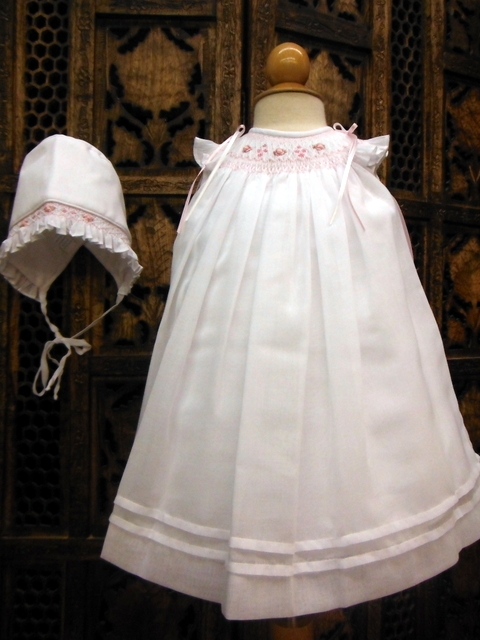 Sizes 3-6-9 months.